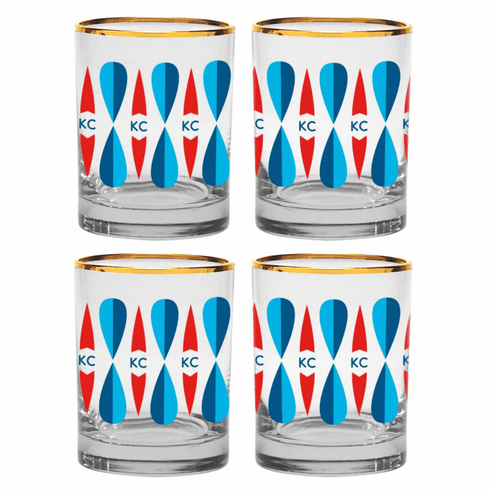 Show your Kansas City pride while sipping out of these Bunker exclusive Mid-Century modern old fashioned glasses. Set of 4 glasses. Wrap around design with a 22K gold dipped rim.